More than Adventures. Let there be Legends. Throughout the history of the tabletop roleplaying game hobby, some adventures have forever defined a setting in the minds of gamers. 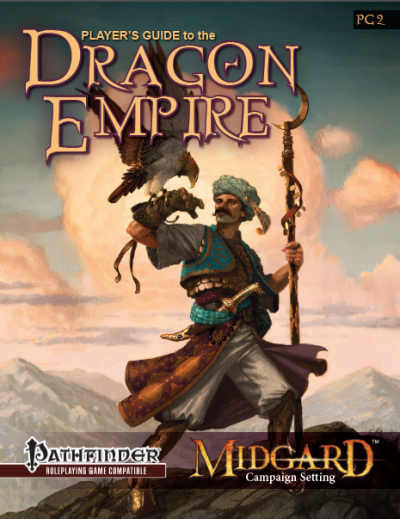 For the Midgard Campaign Setting, that product is Midgard Tales from Kobold Press. Featuring the talents of designers Richard Pett, Crystal Frasier, and Ben McFarland, Midgard Tales will give gaming groups something to talk about for years to come! This massive adventure anthology is 198 pages long, 1 page front cover, 1 page editorial/ToC, 1 page backer-list/ToC, 1 page SRD, 1 page advertisement, 1 page back cover, leaving us with 192 pages of content, so let’s take a look! 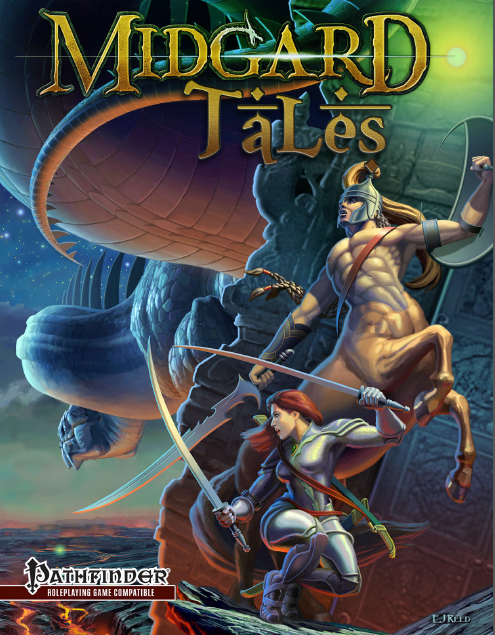 Midgard Tales…an anthology with the goal of creating adventures to talk about. Not only are these supposed to be exciting, they are supposed to resound with the stuff of mythology, of being iconic in the truest sense of the world. This anthology is one massive book and thus, I will not go into as many details regarding the modules as usual, instead giving you a short heads-up regarding the respective modules. Also: I was a backer of this on kickstarter, but did not contribute in any shape or form to it. Got that? Awesome! The following thus contains SPOILERS. Potential players should jump to the conclusion, mostly because, believe me, you don’t want this spoiled. Tim Connors kicks off with the weirdest, most glorious 1st level module I’ve read in quite a while: Set upon the infinitely delayed Great Old Ones in eternal struggle, the PCs awake in “Atop the Warring Blasphemies” in essentially a nest…of one weird, semi-cthulhoid dragon-like being. Escaping from their predicament, the PCs have to navigate the gigantic bodies of the old ones and the politics of the weird goblin-tribes that worship and live among them. Worse, there actually are pulpy pieces of technology that keep the aura of bloodlust emitted by the huge creatures in check. Navigating the strange vertical settlements, shooting ballistae at adversaries, climbing, betrayal – this is one damn furious first module for any campaign and should be considered a true gem – it’s only downside being that it will be hard to trump this tour-de-force. Next up would be Morgan Boehringer’s “Curse of the Witchkeep”. Intended for 2nd level, the PCs are introduced to the village of Loshtadt in the Krakovan hinterlands. Intended as a horror adventure, a sense of desolation suffuses the area. And indeed, a dread curse has fallen upon the xenophobic settlement – biological time is passing exceedingly fast and this amplified ageing process may actually hit the PCs as well. Beyond this curse, not all is well – the village suffers from a powerplay between the lady of the area and the deadly cult of the harbinger, and at night, fear of the “night beast”, which is in fact an eidolon, reigns. Undead witchwolves roam the countryside and in order to break the curse, the PCs will have to infiltrate the local keep’s dungeon and put an end to the powerplay and deal in a great puzzle-combat with a semi-sentient orrery. Have I mentioned the antipaladin that may actually not be the worst possible ally or the other factions involved in the power-play? This is relatively complex and one of those deceptive modules that don’t look that awesome on paper, but running it actually works exceedingly well and remarkable. Again, two thumbs up! The next module, Ted Reed’s “On the Fourth Day, We Kill Them All”, for level 3 characters…is downright glorious. You may know that I have a soft spot for stories in the northlands, but all too often, the issue is that the authors don’t get the mindset. Well, Ted Reed does. Set against the backdrop of a feud at a Þing, i.e. the kind-of-somewhat-democratic meetings, the PCs not only get to embark in simply superbly fun mini-games that breathe social flair and fluff, in order to persevere, they have to explore a fortress once swallowed by a living glacier and return, triumphantly, with an army of lost ancestors to prevail in a gambit for power. Have I mentioned the diverse political intriguing? Even if you don’t like the Northlands, this module remains among the apex-modules in iconic imagery and things to do and should be considered a must-run masterpiece. I bow to the author! If all modules were this good, I’d be out of reviewing. Chris Lozaga’s “Bloodmarked of White Mountain” deals with a village under a strange curse – it seems like the dread ghost folk have bloodmarked a whole village to fall victim to their depredations, sending the whole village into a deep, unnatural slumber. What are the ghost folk? Essentially inbred, white face-painted orcs that ignite in white fire thanks to their strange customs and alchemy upon being slain. In order to lift the curse, the PCs will have to unearth the traumatic history of a hermit, climb a dread idol of the white goddess and finally enter an abandoned mine and defeat the ghost folk in their own environment. Sooo…this is the first module herein I consider good, but simply not that awesome. Yeah, orcs in Midgard are rare and the ignition-upon-death angle is nice…but I can’t help but feel I’ve seen this exact plot before. Feeling more like a post-apocalyptic module, I was reminded of some classics of the genre (brownie-points if you can recall them). Now don’t get me wrong – this still is a very good module, but in direct comparison, it somewhat pales. Module number 5, Michael Lane’s “Dawnsong Tragedy” (also for level 3) see the reappearance of a fabled yurt in the Rothenian plane…and the potential for sinister influence. Entering the yurt, the PCs find themselves trapped in a demiplane-style environment, requiring them to defeat a coalition of 3 agents of gods most foul, who, as it turns out, were responsible for the disappearance of the yurt. Each comes with its own, deadly environment and minions, making for a fun romp through uncommon areas. While there is not much going on beyond combat in the respective areas, their iconic layout helps make this module remarkable. Somewhat similar to Legendary Games’ “Baleful Coven”, this module is great, but not as 100% iconic as I would have liked. Primarily, I think the respective areas of the adversaries could have been a bit more far-out and feature some more unique terrain features. What I do really enjoy is that the respective areas are presented as hexes, though going full-blown hexploration, including random encounter tables, weird weather etc. could have made this very good module into a true legend. Matt Hewson’s “The Tattered Unicorn” (again, for level 3), kicks off with an unicorn ghost herding the PCs toward the village of Astig, where further issues ensue. Delving into the social dynamics of the small place and trysts long gone, the PCs have to find out, what has happened to the unicorn… and during the investigation, also manage the dynamics between a nymph and her forlarren sister as well as prevent a bound demon from being released by the mastermind of the unicorn’s demise. All in all…an okay investigation. It’s background isn’t too special, the means of research not that pronounced, the plot ultimately somewhat simple. It’s one of the modules where your PCs are most likely to stumble across the solution without getting all the details. Also: The final ritual, while called incantation in the text, does not get a full incantation treatment, which is somewhat of a pity. Now don’t get me wrong, this module isn’t bad in any way, but it also could have used more research consequences/pieces to put together. The threat promised by the set-up isn’t really followed up on and while timeline etc. help, overall, it is a rather simplistic scenario for an investigation. 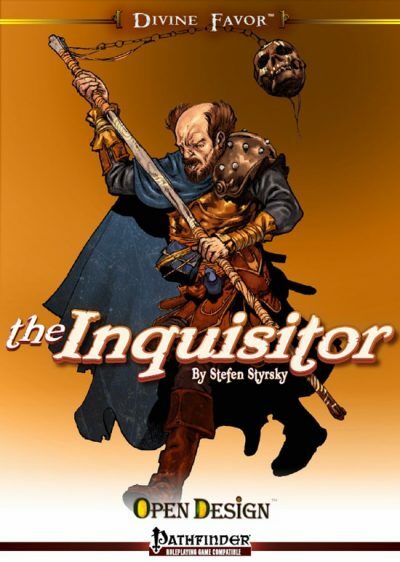 Ben McFarland’s “To Resurrect the Steigenadler” (intended for level 4) is a whole different beast: When a bone-storm downs the airship the PCs boarded to traverse the wasted west, not only do their actions determine whether NPCs survive the crash, they also find themselves beseiged by mad cultists, terrible beasts born from insanity and in an area that simply is one of the most iconic, deadly ones in Midgard. In order to make the ship once again rise to the skies, brains, brawn and stealth are all required in a tale of survival, madness and consequences. Breathing the flair of the wasted west, this module is superb and ranks among the finest crash-landing scenarios I’ve seen in quite a while – once again, one of the legends and befitting Ben McFarland’s superb resumé. Erik Freund’s level 5 module, “Masquerade”, takes a different approach: Two-star-crossed lovers on different sides of a war, a forced marriage looming…realize something? Yes, this module is essentially “Romeo & Juliet”…much like some other modules I’ve read. But don’t skip! Why? Because it is distinctly NOT “Romeo & Juliet” – the player characters first have to brave the seedy underbelly of Capleon for legwork and to acquire an elixir that is supposed to put Seletta, the Baron’s daughter into a coma. In order to deliver the elixir, the PCs have to infiltrate a masque ball (complete with a SUPERB mini-game between Exposure and gaining enough clout to approach Seletta) – upon delivering the assassination attempt, a wild chase resumes, the after math of which is depending on the PCs managing exposure versus subtlety. Trying to retrieve her comatose body by breaking into the cemetery, the PCs finally have to flee the city and intrude into a realm in-between of Hellraiser-like madness between pain and insanity to finally face an ending that may be resoundingly triumphant or just as heart-rending bitter-sweet as its literary inspiration. The premise made me groan, the execution is so utterly ultra-glorious, though, that I can simply only slow clap to the ambition of the author. One legendary, smart epic indeed and one of the best modules I’ve read in ages. Mike Franke’s level 6 module “Whispers in the Dark” is more conservative in the ground it treads by having the PCs explore creepy mines and finally brave the derro-incursion beneath Breccia. Overall, a weird little crawl that, much like the second module, doesn’t read as exciting on paper. However, Mike Franke seems to have a gift for fusing encounters and traps into a cohesive whole that works surprisingly well when run, creating an atmosphere beyond the sum of its parts. Next up would be a module by the master of the macabre, Richard Pett: “Sorrow”, for level 7 characters. The module kicks off with the PCs being invited to a “royal” wedding in the backwater town of Twine. As tradition will have it, the King in Rags, a debased Dark fey-lord is out to take the lord’s daughter to claim his prize for services rendered in the past and thus, the PCs get to participate in a forced marriage-ceremony, where dancing with baccae, succeeding at fey-tasks and generally breathing the palpable sense of dark fantasy grit is tantamount – even before the lord tries to kill the King in Rags, thus sending his whole county into the fey’s domain, where in a race against time, the PCs have to do some hasty hexploration to track down the King in Rags before the entity can consummate his marriage…potentially dealing with former brides and similar fey creatures and only, if they can stop the king’s mantle of living crows from stopping their best attacks. The master of horror and dark fantasy at his finest, on par with the legendary “Courts of the Shadow Fey” in delightfully evil dark fey-flair. Another legend! “Among the red monoliths” by Brian W. Suskind (level 7-9) caters to my preference of shades of grey morality – the city of Bourgund is a radiant place and when the PCs arrive there and have items confiscated, they probably will be rather grumpy, with those white knights mumbling something about primal giant slaying…and they’d better. The order of white knights has fallen victim to the very human sin of hubris and an ally of the most uncommon kind, the dread church of Marena, may all that stands between the city and utter destruction. In order to prevent the immortal primal guardians from escaping the monoliths that litter the city, the PCs have to help the dark cult get their hands on various items and finally, conduct the rite…which adds another issue…it requires human sacrifice. Shades of grey are not for every group, but this module makes a great stance for a module that does require adventuring on the darker sides of morality. As soon as the constantly regenerating giants get free, that ought to be rather clear. Uncommon and a type of module I haven’t seen before in commercial publishing and surprisingly in line with how my campaigns tend to run, this one is rather fun, though players who see everything as black and white might disagree. Thankfully, Brian W. Suskind also gets another module to show off his versatility as an author with the “Five Trials of Pharos”, intended for level 10 characters. 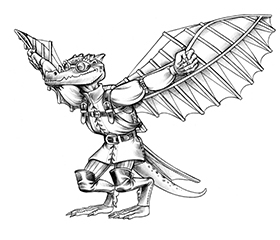 The premise is as uncommon as they come – Mharot dragon Yiraz invites the adventurers alongside some competing teams to embark on a race to 5 trials, each of which requires the solving of mundane, riddle-like instructions and ultimately is designed to realign ley-lines towards one nexus. The race comes with a vast array of different challenges and the symbolic power of the respective challenges also resounds properly. 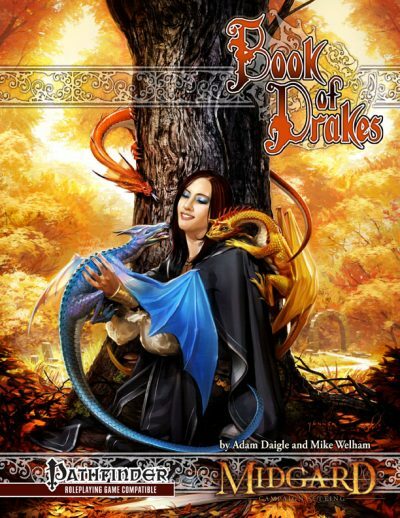 After a glorious, breathless race, the PCs will even have to save their draconic patron, who has been duped and thus had her body taken over by a grisly, legendary dragon/aboleth hybrid thought long-since perished. Yes. EPIC FINAL BATTLE indeed! The final module, “The Stacks Between” is penned by no other than Crystal Frasier and takes place in our favorite clockwork-city of Zobeck, to be precise in the legendary, teleporting library Bibliolethe, last repository of so much lore of the reviled Stross family. Entering the precipice on the trail of a vanished mage, the PCs have a scant few 10 hours to navigate bound azata and their contractual obligations to a bound contract devil, avoid the groundkeeper and golems, navigate a cool puzzle-floor and finally defeat the spirit and madness of the library’s former master, split in twain by the dread artifact that is responsible for the Bibliolethe’s planehopping – if the shadow fey or former victims turned dread undead don’t get the PCs first! Success may actually return the legendary library to Zobeck! Gloriously wicked, dark dungeon, somewhat reminiscent of Frog God Games’ super “Black Monastery”, but unique enough to exist alongside it. Editing and formatting are one of the unfortunate weaknesses of this book and one reason it did not score even higher on my Top Ten list of the best of 2013 – from bolding errors, wrong page-headers and typos to even map-glitches, one more thorough editing pass wouldn’t have hurt this one. Layout adheres to Midgard’s two-column full-color standard and is gorgeous. The same holds true for the extremely evocative, cool b/w-artworks throughout the book that convey so much better the darkness and grit of these modules than the deceptively light cover implies. The pdf comes fully bookmarked for your convenience. Speaking of artwork and maps – there is a second pdf that contains look-see-handout versions of the superb artworks and maps and while I’m not a big fan of non-KS-backers paying extra for them, I wouldn’t complain, after all the maps are awesome. Or rather, I wouldn’t complain, for the second gripe I have is that, once again, we get no player-friendly maps of the places, not even in the extra, for-sale handout-pdf! That’s NOT cool – had I paid extra for handouts, I would have at least expected to have the maps sans letters, creature-markers etc. So yeah, that was the second factor that brought this down a notch. On the plus-side, the hardcover I got from the KS is a solid beauty with good paper and solid craftmanship -it certainly looks awesome and production values are top-notch here! Now don’t get me wrong – I’ve been at my top-notch complaining level throughout the whole review – there is not a single bad module herein. Not one. There isn’t even a mediocre one in here. the worst I could say about any given module in this anthology would be that a module is just “good”. But how is the ratio? 7 of these modules, on their own, would have me gush, grin and heap superlatives on them. 7. This anthology is well worth its place on my Top Ten of last year and 5 stars + seal of approval.